Inspiring STARS, LLC is a leadership consulting company owned by Anna Brady that offers leadership development services, including Executive Leadership Coaching, Training, and Leadership Mastermind group sessions. Anna facilitates professional development modules and workshops that are uniquely tailored for organization needs, and delivers motivational and keynote speeches. 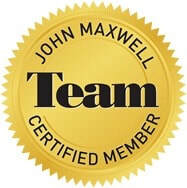 She is a John Maxwell Team certified coach, teacher, and speaker. Anna learned how to become a more effective leader through the people she has led and served. Through her relationships and connections with team members and the individual and organizational transformation process she shared with them, her leadership path led her to the development of others. Her purpose is to inspire, develop, and equip leaders who desire to grow personally and professionally. "Inspiring people to grow their strengths and improve their performance"
"Many say that the measure of a true leader is in their ability to develop leadership in others. With the support and guidance from Anna Brady, I have overcome the apprehensions and challenges associated with being a young aspiring leader. Not only did she inspire me to strive for excellence, but she more importantly believed in me before I believed in myself, and for this I am truly grateful. Thanks Anna! " "When my team of teacher coaches needed strategies for engaging in crucial conversations, we turned to Anna Brady and Inspiring STARS. Anna's charismatic presentation style engaged everyone as they learned the practical strategies needed to develop and grow as coaches. Team members were able to immediately put into practice what they learned from Anna and have increased their effectiveness and confidence in supporting teachers!" "Anna Brady leads people and educators from the heart. She is humble and grounded. I love how she invests in her work and passionately believes in the cause of inspiring and growing future leaders. Thank you!" "Anna motivated me from within. While I already knew I had leadership qualities, she provided me with life lessons and strategies to use. I cannot wait to 'lift my lid' and inspire others." "Anna provided me with so many motivational ways to become a more effective leader within my school and grade level. She allowed me to see that investing in myself can help me achieve growth in my leadership skills."